Share resources with your whole team ... instantly. And book them on one coordinated calendar. Photos make it nice and easy to identify people too. 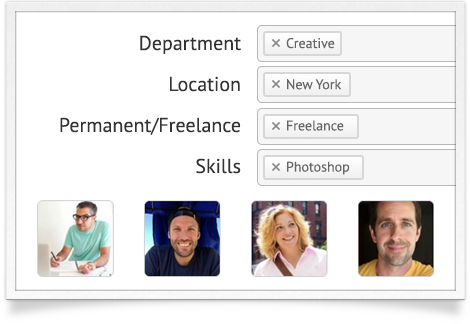 Need to focus on freelance designers with Photoshop skills in New York? Or programmers with HTML and CSS skills in the technical department? Not a problem. 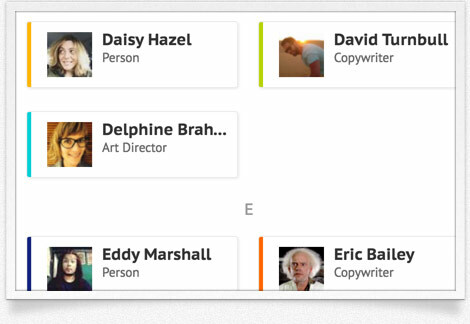 You can create custom fields that empower you to categorize your resources any way you like. Whether it's "Skills", "Location", "Department" or "Permanent/Freelance", Resource Guru’s custom fields have the flexibility to meet your needs. 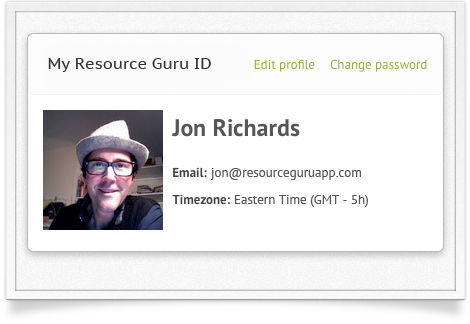 Use Resource Guru to manage people, meeting rooms, vehicles or any other type of resource. 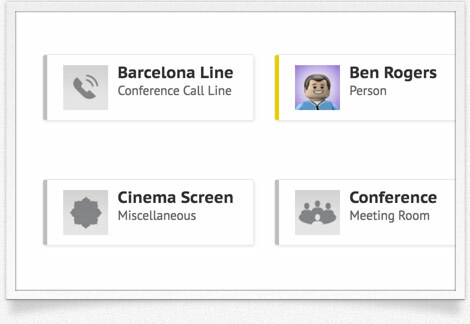 You can specify individual availability times for each resource. Let's say you have a resource that's not available on Wednesday afternoons - no problem. 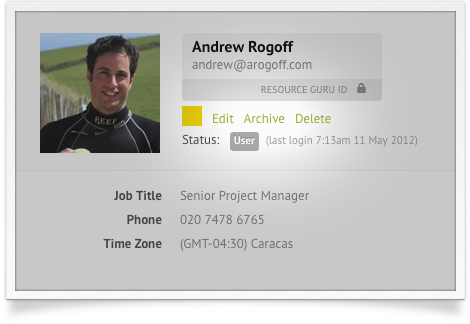 Resource Guru will make sure that bookings can't be made outside the available hours. Unrealistic or unachievable resource bookings are now a thing of the past. Only want certain people to be able to make bookings? No problem. 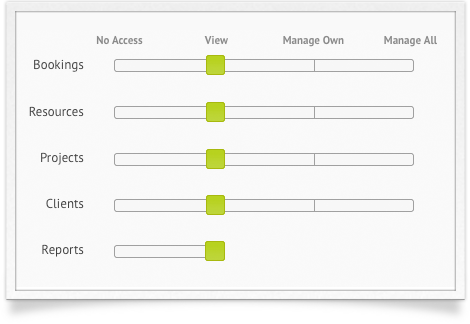 You can set this and other permissions for each of your resources to ensure that the right people have access to the right things. Have freelancers that you only use once in a while? No problem - you can move resources in and out of the archive without losing their details. People can keep their own details up to date so less time is spent managing things like company phone lists. 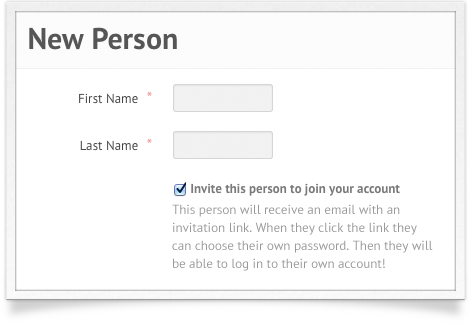 Don't want to give login accounts to everyone? No problem - only invite the people you want. Resource Guru works best when everyone is invited, but it's completely up to you.